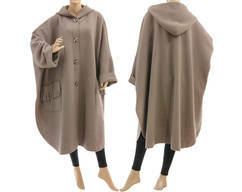 An extravagant eyecatcher - a boho lagenlook cape coat from an exclusive wool fabric. 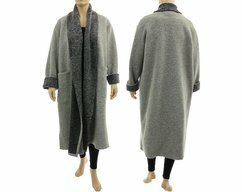 Natural material with long durability and high wearing comfort - boiled felted merino wool. 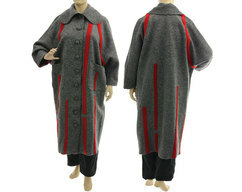 This fancy coat has a very wide shape with rounded sides, decorated with grey circles. 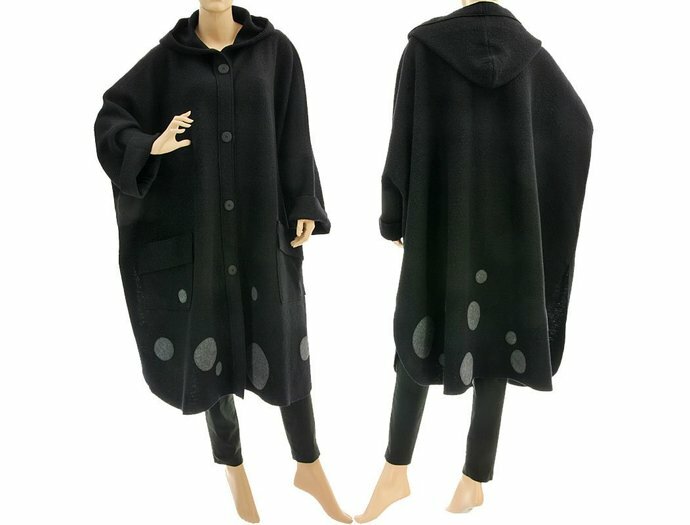 Black buttons closure, groovy hood and large pockets, worked without lining. Lightweight wool fabric - therefore, the chic coat is wearable from spring to autumn. The great cut and the awesome effect make this coat to the it-piece. 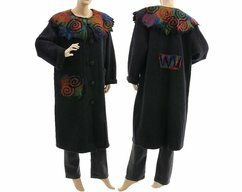 The material is a high quality boiled felted wool from 100% virgin wool (merino). 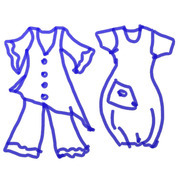 Better than too frequent washing is brushing and airing overnight in fresh air, if necessary hand wash cold with organic wool detergent.